For those interested in one area of their health, or seeking a second opinion to complement existing healthcare…Contact us to for an appointment to discuss your customized wellness care: 858-459-6919. Based on your personalized treatment plan, your doctor may recommend one or more of the following services and testing. Intravenous Vitamins/Minerals- customized formulas to deliver high concentrations of nutrients. Common indications include immune dysfunction, leaky gut, neuro-degenerative conditions, chronic fatigue, nutrient deficiencies. WatchPAT- FDA-approved home sleep study that uses the most innovative technology to assess your sleep patterns and diagnose sleep apnea in the comfort of your own home. EndoPAT- FDA cleared non-invasive diagnostic device for assessing of Endothelial Dysfunction (arterial health): a functional test for early detection of underlying vascular disease. Endothelial Dysfunction is the earliest detectable stage of atherosclerosis and cardiovascular disease. Dexcom- FDA-approved device that is worn for 1 week to continuously monitor and report blood sugar. Frequently used to evaluate responses to diet & medication changes in the treatment of diabetes. ZioPatch- FDA-approved small, discreet heart monitor that continuously records heart rhythm for the diagnosis of arrhythmia. Ankle Brachial Index- noninvasive testing for risk of peripheral artery disease. Bioimpedance Analysis (BIA)- measures body composition including fat, lean muscle mass and water weight. Spirometry- A test of your lung capacity used to assess airway disease such as asthma. DEXA- Bone density test used for screening osteoporosis. Uses ultrasound technology to assess trabecular bone in the heel. 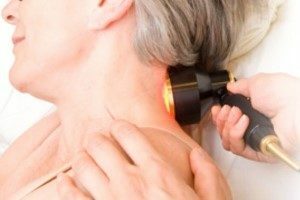 Low level laser therapy for pain- (packages available for purchase) Stimulates healing and reduces pain using photobiomodulation. Echocardiogram, Carotid Duplex, CIMT, Abdominal Aortic Aneurysm. Nurse Health Coaching – see Integrative Nurse Coaching in Personalized Consultations section, above , and a video on Claire D’Andrea RN’s bio page. We have in-house Phlebotomy. Advanced functional lab testing including blood, microbiome, and saliva analysis. Pacific Pearl La Jolla offers a unique range of services and treatments by caring, highly-skilled certified practitioners. Guests are welcome to join us for Comprehensive Assessments, Individual Appointments, Services, and Classes. 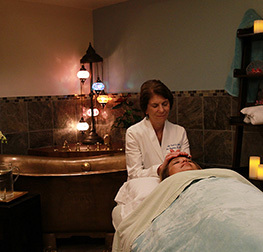 Our list of services includes: Conventional, Integrative, Osteopathic and Naturopathic Medicine; Integrative Oncology, Acupuncture; Personalized Nutrition; Dietary and Supplemental Recommendations; Therapeutic IV Micronutrient Infusions ; Massage Therapy; Bodywork; BioMat Therapy; Constitutional Hydrotherapy; Copper Tub Peat and Herbal Baths; Foot Bath Therapy; Infrared Sauna; Craniosacral Therapy; Healing Touch/Biofield Therapy; Hypnosis; Hypnotherapy, Mindfulness Counseling; In-house Phlebotomy, Esthetician Services – Skin Care and Facials and a wide range of advanced testing from Food Sensitivity, Genetic, Hormones, Microbiome and Sleep to Bone Density and Cardiovascular monitoring, testing and diagnostic imaging. See the detailed descriptions linked below for some featured services.